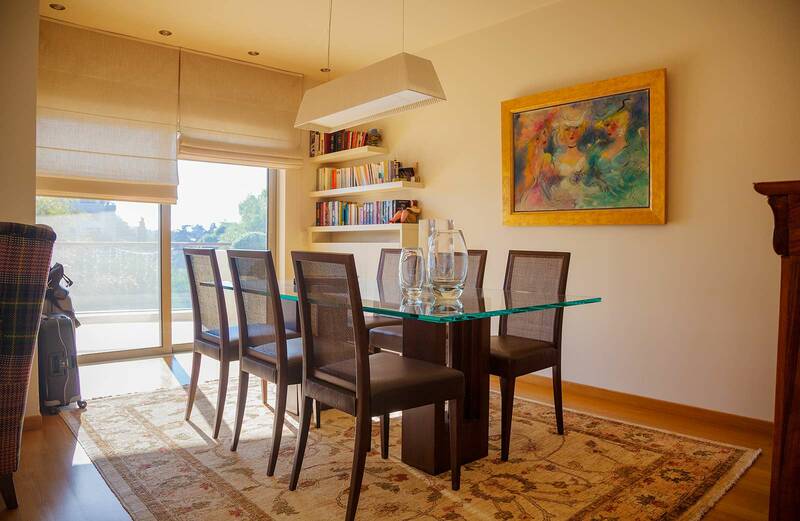 A bright 3-bedroom apartment with extensive balcony. 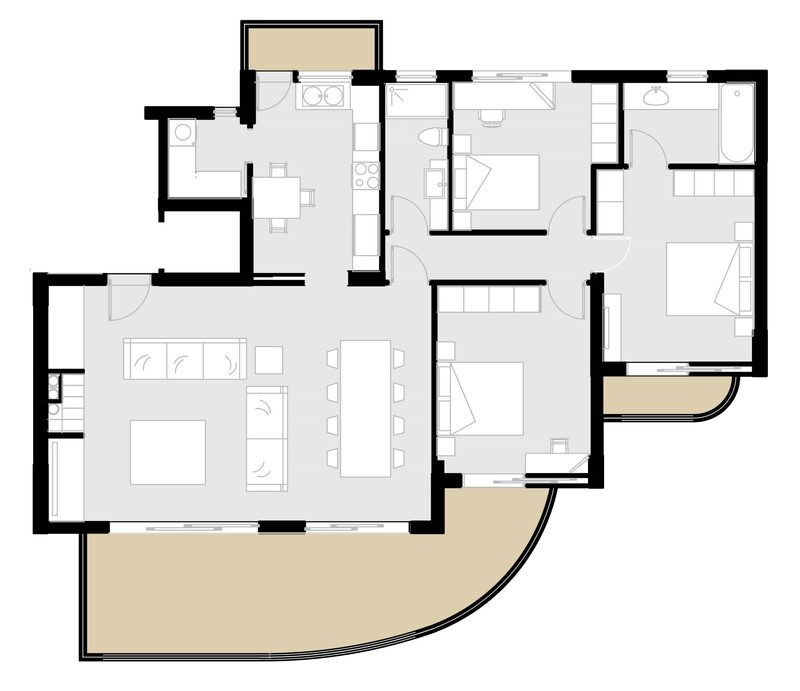 Long living room / dining area, with built-in fireplace, leading onto large balcony with partial sea view. Separate spacious L-shaped kitchen with breakfast bar. Large double bedroom with ensuite bathroom. Two spacious bedrooms with shared bathroom.